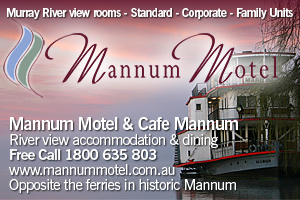 You know Mannum is really the hidden gem of South Australia. Grab a coffee and sit by the riverbank and just be. 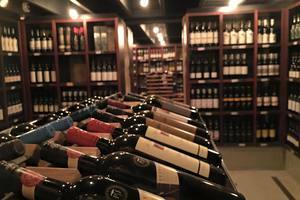 Take a great walk about the town and get to experience our dynamic and interesting history or you can get active and go canoeing, skiing or take a river cruise. 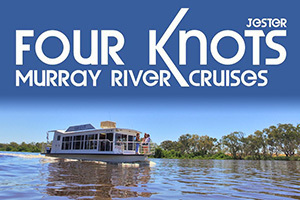 Really, Mannum is all yours to explore. The Mannum Bowling Club on the banks of the Murray River, overlooks Mary Ann Reserve’s tranquil picnic setting. A short walk from town brings you to the exciting nine hole fully greened, tree lined fairways of the Mannum Golf Club. 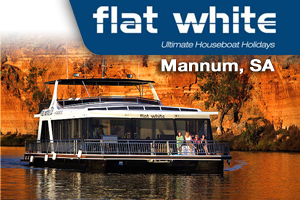 There are many tourist and native walks in and around Mannum. Just past the ferry and caravan park is a peaceful bird sanctuary with great picnic grounds. On the outskirts of the town the nature lover will discover the magnificent Mannum Waterfalls. The falls generally flow in winter and it’s not recommended you walk from Mannum township in summer.